Collin Barnard - Mowbray & Son, Inc.
Collin Barnard graduated from Bishop Ryan High School in Minot, ND in 2002. He attended Minot State University for one year majoring in general studies. 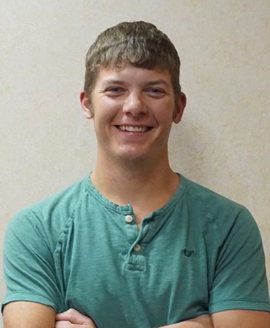 Collin attended St. Paul Technical College for one year majoring in plumbing. Upon completion of the technical college program, he was hired in 2005 at Mowbray & Son, Inc as an Apprentice Plumber. Collin is a member of the Plumbers/Pipefitters Local #300 and has worked for Mowbray & Son, Inc his entire plumbing career. He is currently a Foreman Plumber and has worked at many projects over the last 10 years. Collin is a Licensed Journeyman in ND, is med-gas certified, and certified in CPR/First Aid. Collin’s most memorable projects are the McKenzie County Courthouse, EOG Office, and the new Nedrose Public School. He is currently the Foreman at the Williston School project in Williston, ND.